Ms. Ann E. McHorney, has 25 years of professional experience in the charter industry. She is a Charter Sales Specialist, has been crew member and chef on both sail and motor super yachts, and is a Charter Yacht Owner. 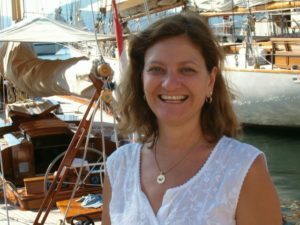 Acting as a Charter Specialist on the Select Yachts team, Ann E delights in applying her knowledge and expertise to match charter clients with the perfect yacht and crew. “It’s sort of like being the Ultimate Match Maker – that’s how I like to think of myself! I’m so pleased when people come to me at the end of their holiday exclaiming that this was the best vacation of their lives. What a great thing to be able to do for people!” Years of working as charter crew have provided Ann E. with lots of cruising time and an intimate knowledge of the world’s most fabulous charter destinations. Marilyn was born on a small island in the mouth of England’s famous River Thames. Her love of the sea emerged at an early age. As a teenager she was an award-winning dinghy racer. At the age of 23 she owned a 27-foot yacht to indulge in weekend sailing along the Kent coastline. Her role model is Clare Francis, renowned for sailing single-handed, around-the-world adventure in the 1970s. After reading her autobiography, Marilyn vowed to do some serious sailing during her lifetime. She crewed on a transoceanic delivery. She sailed during every vacation, from bareboat to flotilla sailing, throughout the Mediterranean and the Caribbean. Marilyn knows yachts from the inside out. Marilyn has a law degree. She worked as a lawyer for 25 years at the largest law firm in the UK. She is an invaluable asset to Select Yachts for contract negotiation, customs & immigration, legal and flag issues, and complaint mediation. 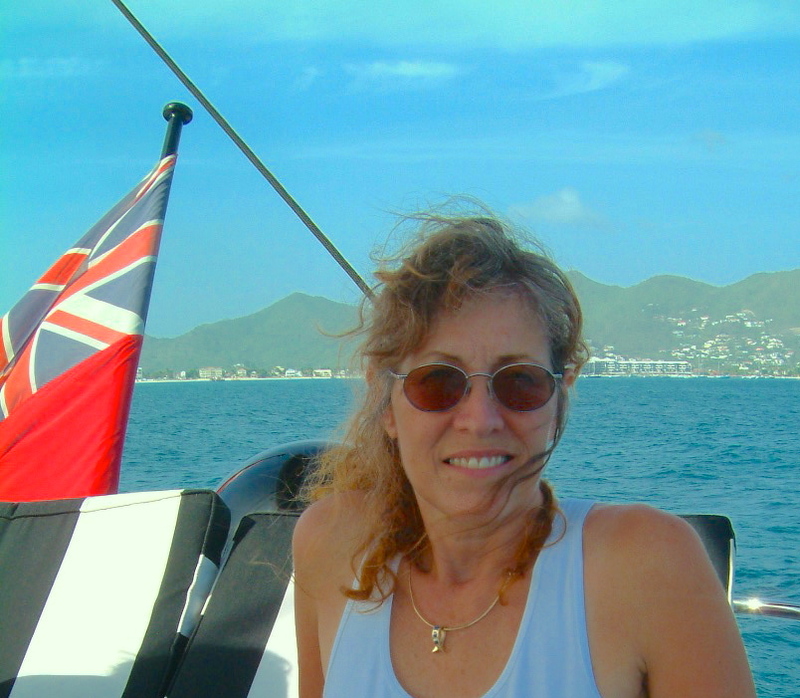 Marilyn recently encouraged the BVI Shipping Registry to change their laws to allow US citizens and corporations to own a BVI flagged yacht and avoid a discrimination claim. 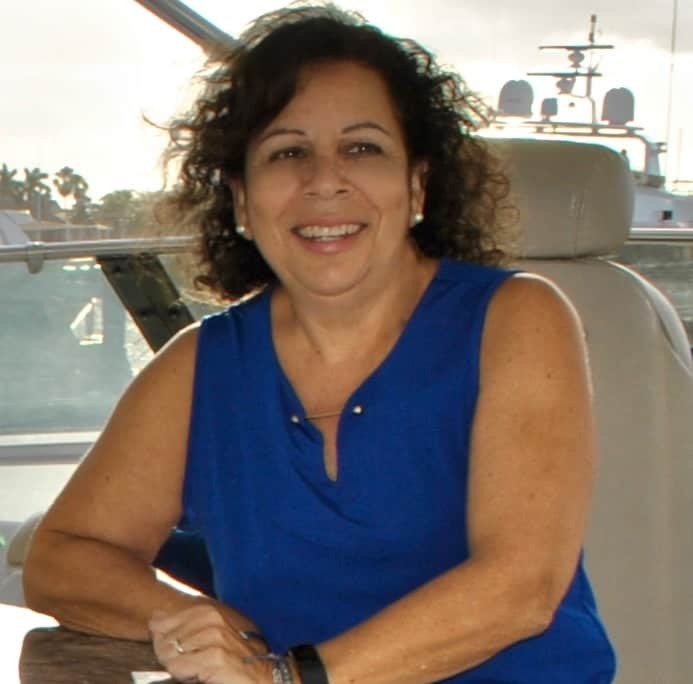 Daisy brings professional yacht management, bookkeeping and accounting acumen to the Select Yachts fleet management division. She has extensive marine experience both as a long time recreational, bluewater sailor, a competitive racer and a marine industry professional. Daisy has been a vital participant in the yachting industry for over a decade. She is an excellent resource for Owners and crew who find themselves in need of a recommendation; everything from marinas and repairs to waterway guides and uniforms. She has attended numerous charter yacht shows in the Caribbean, the Mediterranean, and the United States. From branding to staging a yacht, Daisy understands marketing strategies. She brings keen insights to address charter broker and charter client needs and expectations. She applies her knowledge individually and meticulously to each vessel in the Select Yachts fleet to insure their success as a charter business. Captain George Decsy is a yacht sales agent with extensive first-hand experience on all types of vessels. He is a long-time industry professional with an outstanding reputation throughout the yachting community. He works with his clients from the initial search for the perfect vessel to closing and beyond. Buying a yacht is a very individual, personal experience and George makes sure that the process runs smoothly and correctly. Captain George has logged over 100,000 miles on various vessels in the Caribbean, Mediterranean, North Atlantic and on transatlantic crossings. 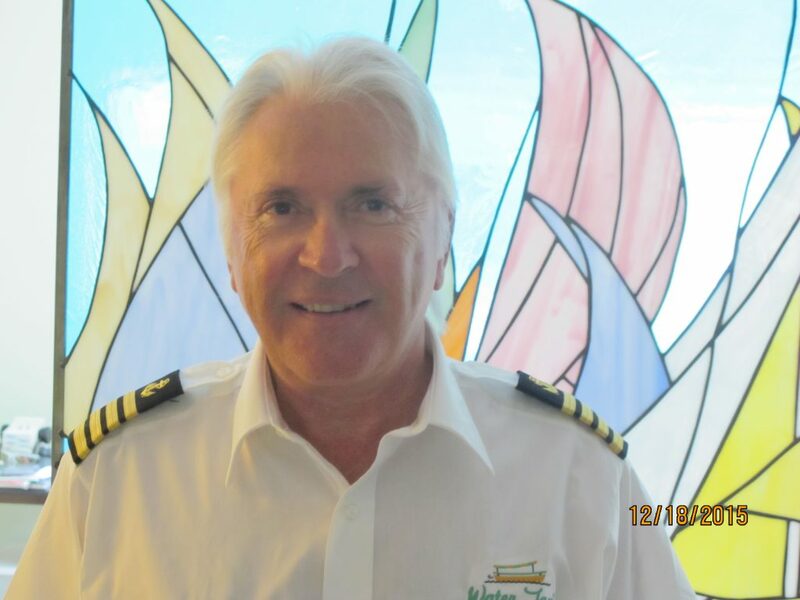 He has years of experience as an instructor at International Yachtmaster Training in Fort Lauderdale. He has owned, bought and sold several of his own vessels as well as being the trusted sales agent for clients worldwide. 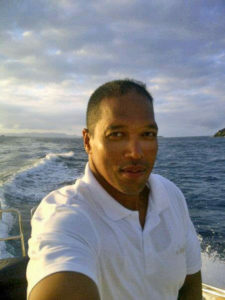 Select Yachts is very proud to have a man of his intelligence and capability on the sales team. Mr. Stephan James is Select Yachts’ on-site representative for Sint Maarten / Saint Martin. A citizen of The Netherlands, France, and the Country of Sint Maarten, he contributes a wealth of up-to-the-minute local knowledge to the Select Yachts team. Whether the need is for yachting services, Zagat-rated restaurants, or private guides and drivers, we can rely on Stephan’s expertise. Stephan began his yachting career at the Simpson Bay Yacht Club Marina, moving up the ranks quickly from dock attendant to dockmaster. When Simpson Bay merged with IGY, his duties expanded to include services at Isle de Sol and Port de Plaissance. He also worked at the famous Captain Oliver’s Marina. For the past two years, Stephan crewed on the magnificent 160’ ISA motor yacht, Papi du Papi, where he honed his nautical skills, and reinforced his commitment to the high standards and efficiency required by luxury yacht owners. Stephen’s extensive knowledge is vital to the international yachting community. He enables visiting yachts, and the Select Yachts’ fleet and charters to get what they need, and be assured of the highest quality and expedience. He is fluent in English, Dutch and Spanish. Contact Stephan by cell 1-721-586-9705, or email him at Stephan@selectyachts.com. Lisa was born and raised in Chicago, Illinois, on the shores of frigid and temperamental Lake Michigan. From childhood she loved three things, being out on the water, writing and travel. She published her first jingle for the Noxema skin care brand at nine years old, and wrote her first commissioned screenplay while still in college. She moved to St. Thomas, USVI, to indulge in her passion for sailboat racing, explore the Caribbean, and work as a freelance writer. She also spent many years living in Europe, followed by dissertation research in Mexico and Guatemala, a catalyst for projects and publications concerning the history of South Florida, and the Mayan peoples of Mexico and Guatemala. Lisa has worked in media and marketing in the yachting industry for over fifteen years. She has been published in many of the industry’s most prestigious magazines. She enthusiastically and elegantly portrays the stunning yachting lifestyle, the world’s most fascinating vessels, and the dramatic shores they reach. Email Lisa@selectyachts.com with industry news for our website. Launch your yacht and crew into the spotlight. Ms. Lynn Norris is the extraordinary facilitator behind the scenes for the Select Yachts team. She is in charge of office management and bookkeeping at our Fort Lauderdale office. A graduate of Penn State and experienced CPA, she has a cheerful attitude, a heartwarming smile, and deals masterfully with a multitude of tasks. Lynn grew up in Fort Lauderdale with a love of boats. Early on in life she helped her father restore a 37’ Silverton. In the tradition of her military family, she was active in the Junior Reserve Officer Training Corps, rising to the rank of captain, and leading a group of 17 kids. At Penn State she enlisted in the ROTC, where she achieved the rank of corporal. 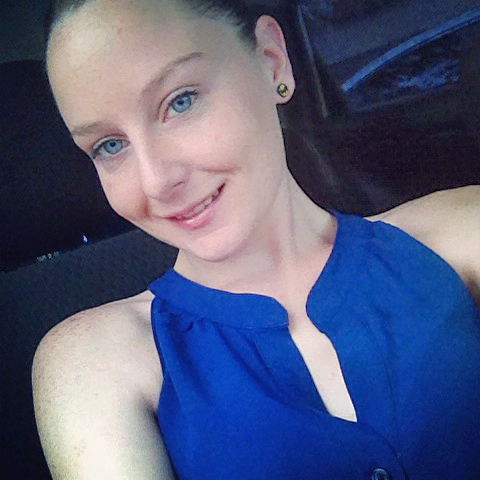 Lynn enjoys interacting with people and helping them achieve their goals. She is fluent in Spanish and French and is invaluable to the Select Yachts team, whether working with foreign clients or dealing in foreign ports. We are thrilled to have Lynn aboard, efficiently running our office, handling our books, and charming everyone with whom she comes in contact. Martine is a South Florida native of Haitian ancestry. Her specialty for the last four years has been social media marketing. She works diligently to expand Select Yachts’ online presence via numerous social media platforms. Her efforts benefit all of the charter yacht owners, brokers and retail clients who have come to rely on Select Yachts’ pofessional services. Martine graduated from university with a Bachelor of Arts and a Master of Business Administration with a concentration in marketing. She specializes in developing a personal brand that is widely recognized. She has successfully promoted various high-profile clients in diverse industries, from music to health and beauty. Travel is one of Martine’s favorite hobbies. She has traveled extensively through Africa and the Caribbean. Both at home or abroad, she is always enthusiastic about meeting new people in different walks of life. Select Yachts is delighted to have Martine on board. Her knowledge, creativity and enthusiasm are a great asset to our company and to our owners and crew who are keen to expand their social media reach.